Moving to a new home is a hectic process. You're dealing with (what feels like, at least) a thousand different boxes, plans, labels, bins, bits, bobs, and who-knows-what-else. The last thing you're going to be able to remember when you're finally spending your first night in your new home is where you put everything. A few plates, cups, and sets of utensils for you to use before you get your kitchen unpacked so you don’t have to eat with your hands or get pizza grease on your new counters. Toilet paper. Self-explanatory. You’re going to need it, and when you do need it, you might not have the time to dedicate two hours to searching for it. Cleaning supplies. As you’re putting things away, you’ll probably want to wipe down counters, cupboards, and other surfaces as you go. That’s why making sure basic cleaning supplies are easy to access should be a top priority. Your electronic chargers. You'll thank us for reminding you of this one. Laptop, cell phone, backup cell phone - just in case. A set of sheets. These are often overlooked, but we think they’re important. When it's your first night in your new home and you're exhausted, achy, and ready for rest, the last thing you want to have to do is dig through things to find linens. Some caffeine. Instant coffee can be a god-send when you’re waking up to a home filled with boxes you need to unpack and put away. Needed toiletries. Whatever you need to help you feel human after the end of a day’s work is what we would consider needed. Toothpaste, toothbrush, deodorant, a towel, and so on being easy to find can help you avoid grumpiness refreshing you as you tackle unpacking. Valuables and documents. The things that you’d be uncomfortable without, such as important documents and any small items that you always want to have close by. Pre-portioned pet food. 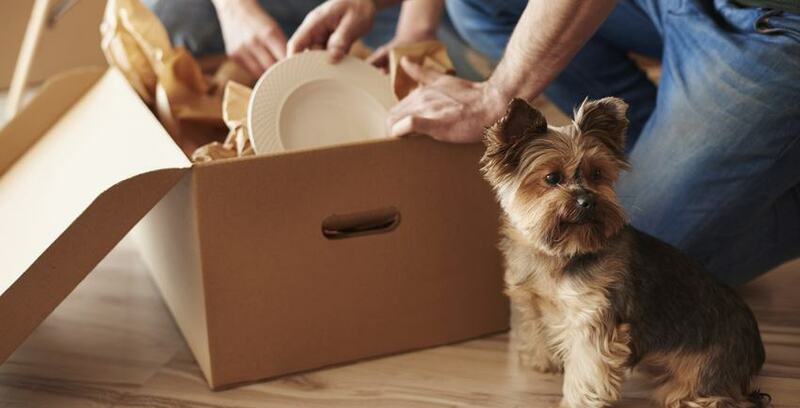 If you have pets, you want to think ahead by having a few servings of food set aside ahead of time so you can easily keep them fed while unpacking the rest of their (and your) things. A change of clothes. Act like you’re going to be staying in a hotel for a few days, and pack accordingly. Okay, to be honest, this might take two boxes, but you’ll thank us when you have all the things you immediately need after the stressful process of a long move. Plus, when it comes to any of the things you’d rather put safely aside instead of moving, Storage Direct has you covered.